For and extravagant, eye-catching and glitzy outlook, everyone love to opt for decent and stunning styles of party wear dresses. When attires carry specially adorned and crafted embroideries in very wide range, then no women can desist from trying these. 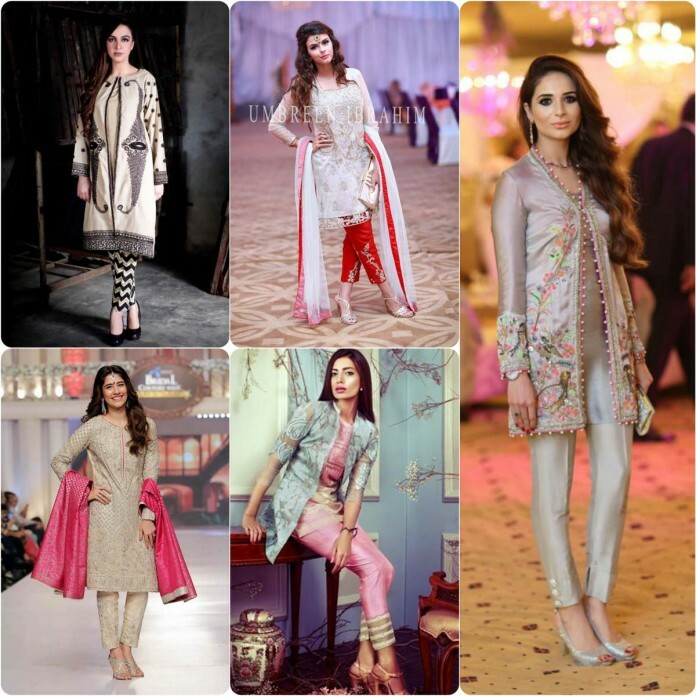 Party wear embroidered apparels are an essential part of every Pakistani closet. No matter what sort of formal or semi-formal function you want to visit, one thing which you have to follow, opt fine embroideries with charming hues and contrasts. There are some eminent designers that are producing best collections of embroidered dresses and shirts. Recently and as last year, the trend of pencil trousers came in market and every dresses formal dresses have seen having variations of embroidered work shirts with pencil trousers. Whether you carry them with short shirts or long shirts, they gives equally stunning and smart look. Plenty of women love to wear these with short and medium shirts that coupled with uppers and gowns. Pencil trousers are now trendy among woman choice and latest collections are seen by Zainab chottani, Maria.B, Sha Posh etc and many branded designers wear carry the same fusion. 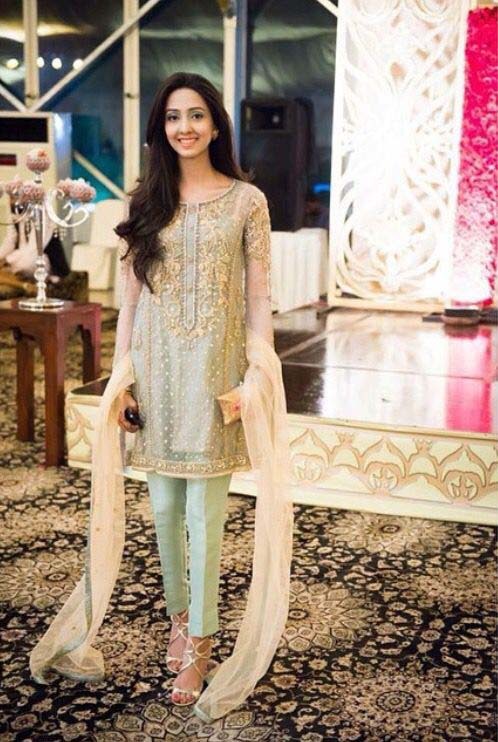 Some images of Latest Embroidered Party Wear Shirts With Trousers Designs Collection 2016-2107 are shown blow. The latest wedding and party wear fancy dresses is in all retail stores and in all clothing lines. These shirts and Kurtis are designed in cotton, chiffon, silk, lawn and Georgette with bunch of embroidery and thread work along with motifs in pearl, applique and stone work. Work of zari, zardozi and dabka is seen on border, neckline and also on sleeves. These apparels are available in different styles as if you have craze for Kurtas and tunics you can carry them with cigarette pants and pencil trousers.If you love to carry simple long shirts then you need other variety like angrakha style and medium length with front open style. Cigarette pants and pencil trousers are seen in market with funky hues selected from inspiring palettes. Fancy and embroidered pants and trousers in black, white, beige and off-white are most popular to opt with monochromatic and multi chromatic Kurtis. Pencil trousers carry button on bottom side or side embroidered work that adds more glamour. One best thing that these brings continence with styles and trends, whether you are going to opt for indoor or outdoor function, you can easily wear them. Perhaps the trend of short and medium shirts with pencil trouser are going to hit this season and every functions. 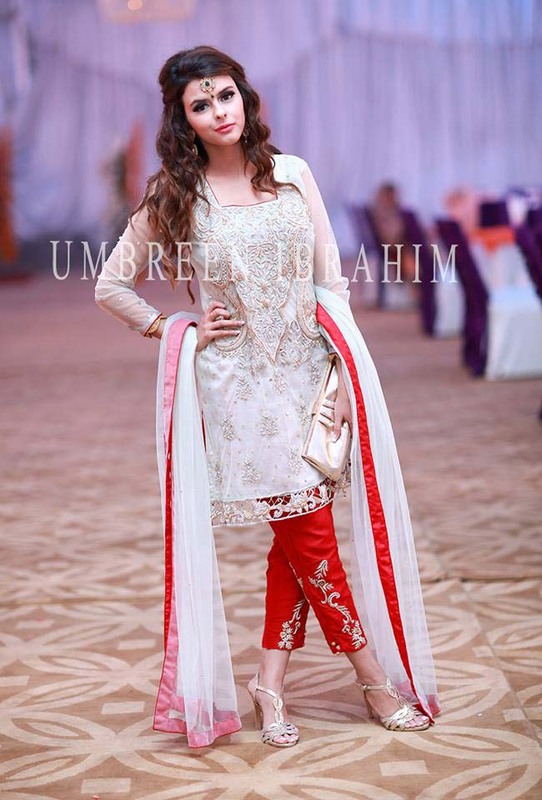 Every single girls and even woman of all age groups are finding these attires that are extremely suitable for all formal occasions. So don’t wait more, otherwise fashion will leave you behind. Here are some famous branded Party Wear Fancy Shirts Designs With Pants/ Trousers Collection 2016-2017. 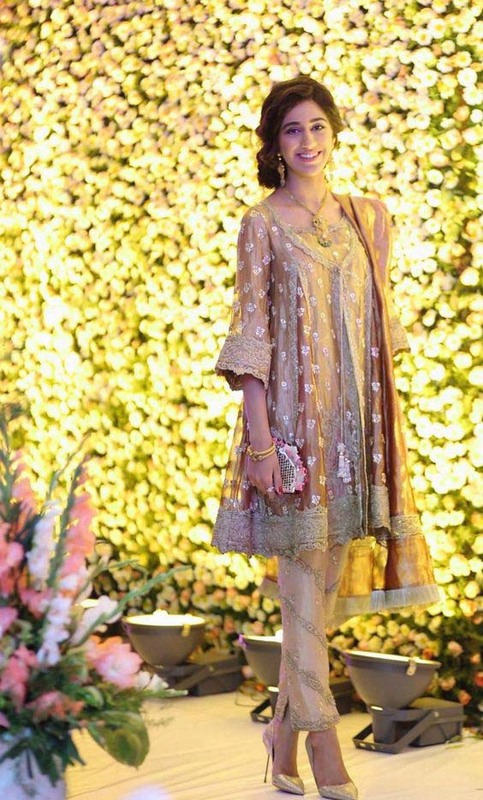 For glitzy and appealing look, every woman and single girl want something different decent & unique that make her possible to stand out in confidently in crowd.